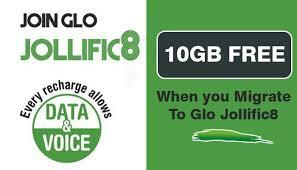 Recently, We updated a post on Glo Jollific8 with Gives 5.2GB for #100 and 10.4GB fo #200. But,Most of us seems to be getting much out of their Glo Jollific8 data bonus but what's the gain when your network GPRS always turn off whenever you're in the middle of a heavy download? Nothing. So, we're going to see how to solve frequent disconnection issue/unstable GPRS network on Glo Jollific8 data bonus. To enjoy proper browsing & downloading experience you need to follow this step-by-step guide for either Android, IOS, or PC. Change your Internet profile APN settings to “gloflat” if you are on “glosecure” [This doesn’t offer much but it is worth your consideration]. Another way is to download with a good download manager on your smartphone, such a download manager must support download resume. An example of a trusted download manager is ADM Pro (Advanced Download Manager). Finally, make sure you download only at night when you will not use your phone for other things. Possibly overnight. Change your Internet profile APN settings to “gloflat” if you are on “glosecure”. (This doesn’t offer much but it is worth your consideration. Also, you need a dedicated software to make the work simpler. ReConnect does that job pretty well; the amazing part of this software is that it is only 200 kb approximately and its portable, so no-nonsense installation needed. But it provides almost all the features you need from such a small weighed app. Tap Setting. Don't mind the name in the "Dial mode". It will automatically detect the name on your modem. Under "Connection setting" tick "Auto reconnect". Under"Startup settings". If you like, you may tick "Start with Windows and "Connect on start up". Finally, click OK to save the settings and tap on "connect" to tie the software with your internet connection. Another way is to download with a good download manager on your computers; Such a download manager must support download resume. An example of a trusted download manager is IDM [Internet Download Manager] for Windows and Folx for Mac. Finally, make sure you download only at night when you will not be using your laptop for other things. Possibly overnight. On the issue of 51MB or 100MB being received instead of 5GB or 10GB on Glo Jollific8 Bonus. It is so unfortunate that Glo has scaled down the volume of the bonus data given to old / existing customers who opt-in to GLO Jollific8. Instead of 5GB, you now receive 51MB + 25MB. Also, instead of 10GB, you get 100MB + 25MB. If you newly buy your sim card, I was told you can still get either the 5GB or 10GB. NOTE 2: If you're unable to browse while you have the glo jollific8 bundle, kindly contact glo customer care and report to them.